The makers of the beautifully simple Marc Newson-designed dinner service have released an equally timeless, elegant cutlery service. 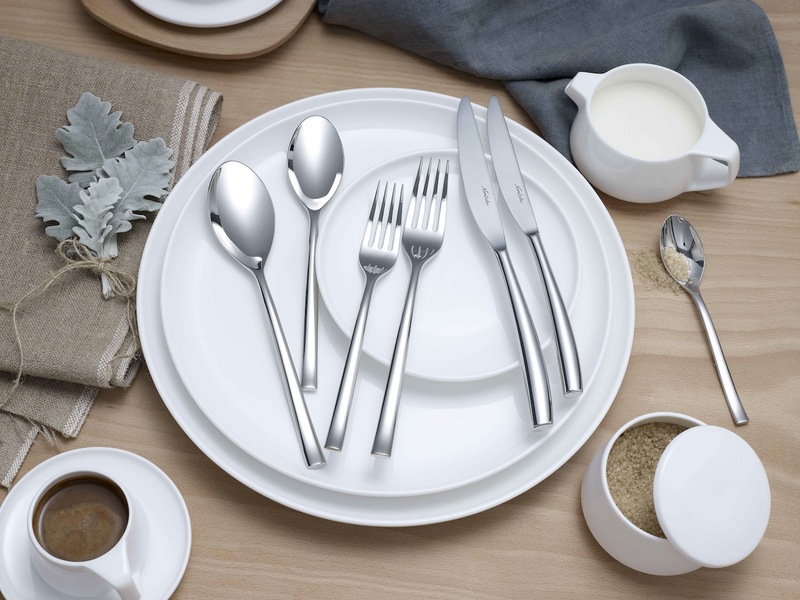 The Rochefort 56-piece set in 18/10 stainless steel is by Noritake. The image below shows Rochefort with part of the Marc Newson dinner service, which was originally designed for the first class cabin of Qantas Airlines.